Since we launched our cheese in 1987, we’ve won many awards including first prize on a number of occasions at the Kerrygold Royal Dublin Society Show in the early 90’s. The prestigious Ballygowan Food Writers Award was presented to Knockanore Cheese in 1998. We also won a Gold Medal in the British Cheese awards in 1996. 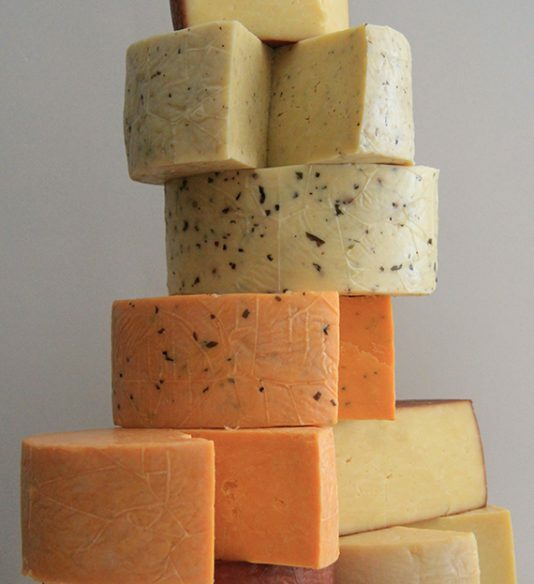 Knockanore Farmhouse Cheese won two Golds medals and one Silver medal at the International Cheese Competition held in Dublin in 2009 in conjunction with SHOP Expo. In 2010, in Las Palmas, Gran Canaria at the World Cheese Awards, Knockanore Farmhouse Cheese won Gold and Silver for our Oakwood Smoked Cheese. We won gold at the Irish Cheese Awards in 2011. In later years we’ve left the awards to the newcomers in Irish Cheese, and whilst we’re hugely proud of the awards we have won, nowadays what matters most to us is what our customers think and thankfully we seem to be a winner every time!